Juliana is one of TIE's Development Trainers in Brazil. Fluently bicultural, she brings together a colorful mixture of Brazilian and American influences that resonate well with TIE’s mission. Being born in Brazil, she moved to the US at the age of 5. Since summers were always spent in Brazil, as well as a wonderful high-school semester, Juliana was able to truly cultivate both her Brazilian and American identities throughout her childhood and adolescence. She received a degree in International Relations from Tufts University, and expanded her cross-cultural horizons while living for a year in France. After college, Juliana worked with the Inter-American Foundation (IAF), a US government agency that provides grants to grassroots and nongovernmental organizations throughout Latin America. 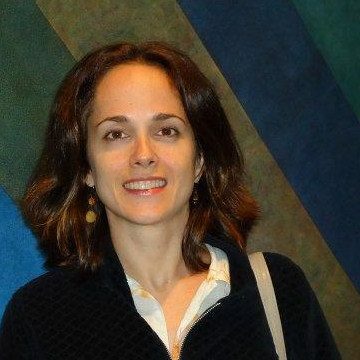 She then decided to focus on international development communications and was hired at Chlopak, Leonard, Schechter & Associates, a strategic communications firm in Washington, DC, prior to returning to Brazil in 2001. Since moving back to Brazil, Juliana has been a consultant for the Inter-American Foundation (IAF) as their Local Liaison Advisor. She provides grant support and monitoring for a portfolio of over 35 organizations all over the country, in an array of grassroots development projects that focus on income generation, social inclusion and empowerment of marginalized communities. Juliana particularly enjoys facilitating learning and exchange opportunities between project teams as a way of bringing new ideas to their development contexts, and strengthening collaboration between grantees. As a consultant, Juliana has also worked with communications projects for organizations like the Inter-American Dialogue to highlight racial inequalities throughout Latin America. More recently, she has become a community therapist and facilitated conflict resolution groups in Recife with at-risk youth and adults.